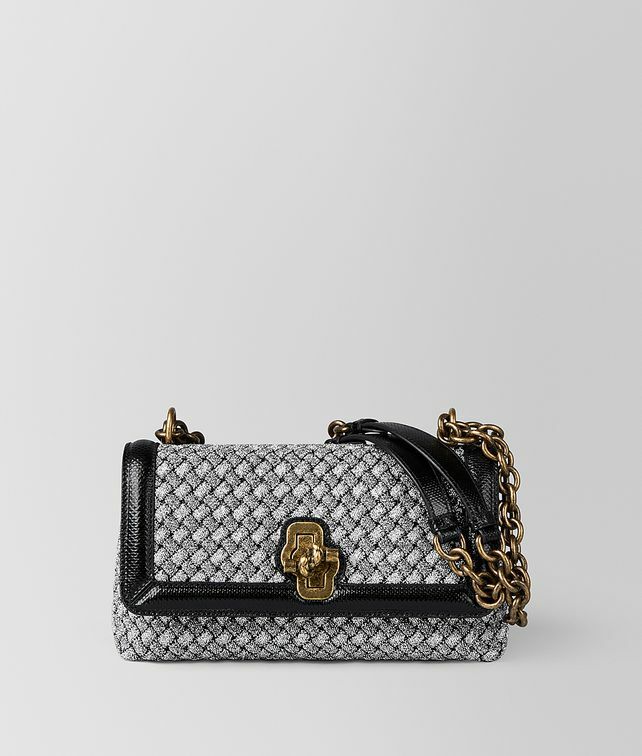 This sophisticated take on the Olimpia bag is updated with a knot-shaped twist lock. Crafted from intrecciato nappa leather and dark gold-tone hardware. The flap opens to reveal two internal compartments, fitted with a zip pocket. Finished with an adjustable leather-and-chain strap. Handle drop: 31.5 cm | 12.4"